The American Metalcraft MTSH3 mini taco holder is the perfect size for hard shell tacos, cannolis, and other menu items, and can be used to make prep easier and keep foods organized in serving. The holder's wave design can hold two items on one side or flipped to hold three. 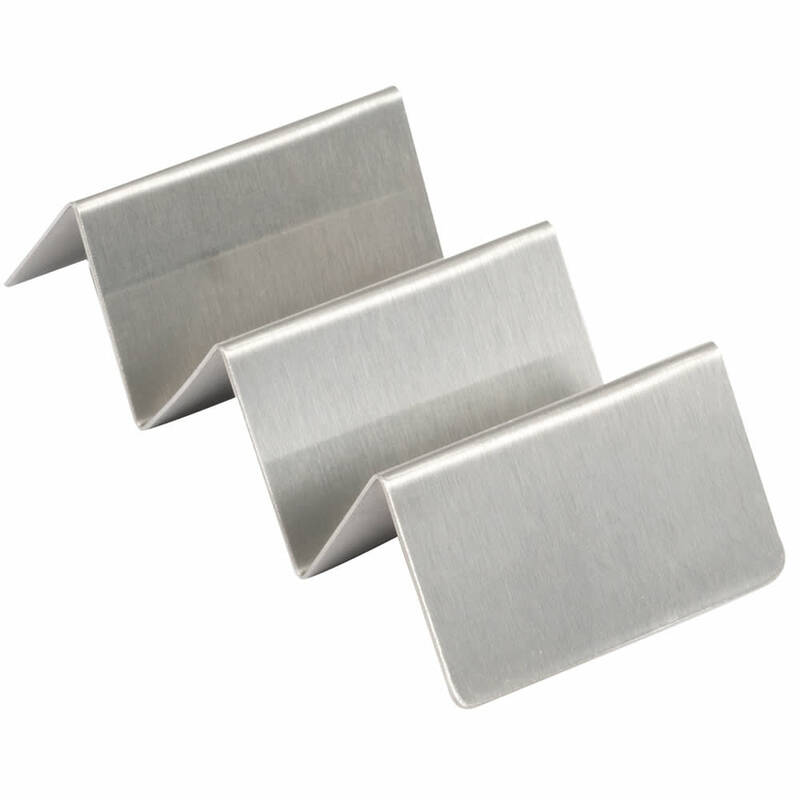 The American Metalcraft MTSH3 mini taco holder is made of strong and corrosion-resistant stainless steel, which has a brushed finish that enables it to hide fingerprints, grease spots, and other marks. "Great for hard shelled taco. If you like soft tacos, recommend you purchase the taller size. The holder keeps the stuff inside the shell and no..."
"Great for hard shelled taco. If you like soft tacos, recommend you purchase the taller size. The holder keeps the stuff inside the shell and not on your place."